We have been peddling ideas in business and everywhere else as if "Thought Leadership" lies out there. This shouldn’t surprise us, because, that’s exactly what language does – project a subjective view, with its encoded mental maps, as theobjective reality. In other words, we mistake the map for the territory. The thought leader creates the framework, and in turn, the framework creates the thought leader. Let’s break down the first one. Here’s a likely translation more grounded in reality: When we perceive John’s professional competence in an inter-subjective environment that exists within the IT related communications network (comprising both meat and virtual interactions) linking the subjective consciousness of several IT professionals, we perceive him as a Thought Leader in IT Mergers & Acquisitions. Did you notice that we are talking more about ourselves than John? Yet, if you ignore the translation, and simply go by the shorthand, it seems fairly obvious that we are talking about John. How is that possible? You see, the magic of language is at play here. By an act of grammatical abracadabra, “we” has disappeared. We’ve objectified our perceptions, and projected it as the truth, outside our skins, out there. Why do thought leaders take their time out to post snack-able content regularly of various forms regularly on social networks with a specific hashtag reflecting their domain of expertise to own it eventually in the social web? You already know the answer. Don’t you? Now, let’s break down the second statement. By writing this book, John has created recipes of best practices which could be helpful for an IT Manager managing IT Mergers & Acquisitions. Now, let us assume, as a thought experiment, John wrote another book titled, “IT Mergers & Acquisitions: Worst Practices”. Now, which of the two books would help him get better recognition as a Thought Leader? It’s obvious, if the growing “best-practices” literary cottage industries are any indication of its acceptance as a sure-shot method to become an industry “Thought Leader”. You can build an authority only by building a citadel of thoughts in the affirmative(as in "best"), rather than in the negative(as in "worst"). No wonder, we keep littering the internet with “How-to-dos” on everything under the sun. If you’ve worked in the Information Technology industry, (or if you’ve read the works of Nassim Nicholas Taleb) you would know that the latter book would be more helpful than the former for two reasons. First, best practice recipes lead to side-effects and unintended consequences. So, you are better off with worst practices, relatively speaking, as you are more likely to benefit from omission rather than addition. Second, you can never be sure if the recipes and only recipes improved the state of affairs in an IT environment in the throes of mergers & acquisitions. As you can never control all the factors that influence a complex IT environment, any attempt to use "best practices" recipes is fraught with more dangers than imagined. 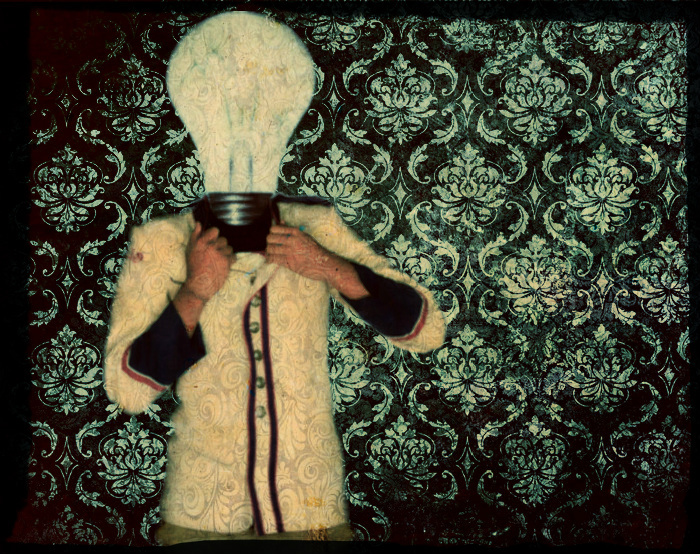 So, are you a Thought Leader? Who are you? And for those who came all the way here expecting some advice on "how" to be a better thought leader, may I direct your attention elsewhere?